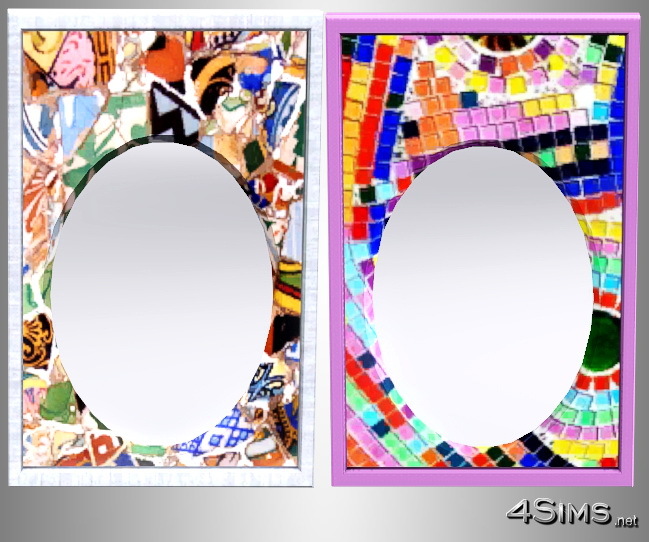 Mosaic framed mirrors inspired by the greatest Gaudi, set with 4 items. 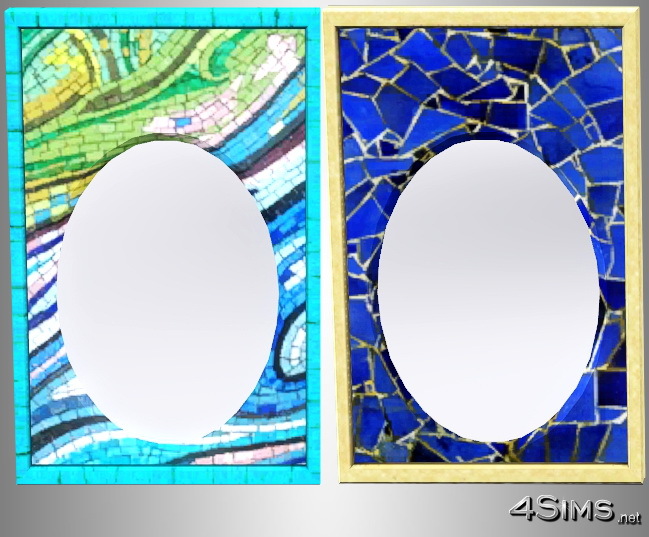 Frame fully recolorable, mosaic semirecolorable, all 4 styles included in the same pack. Require World Adventure installed. 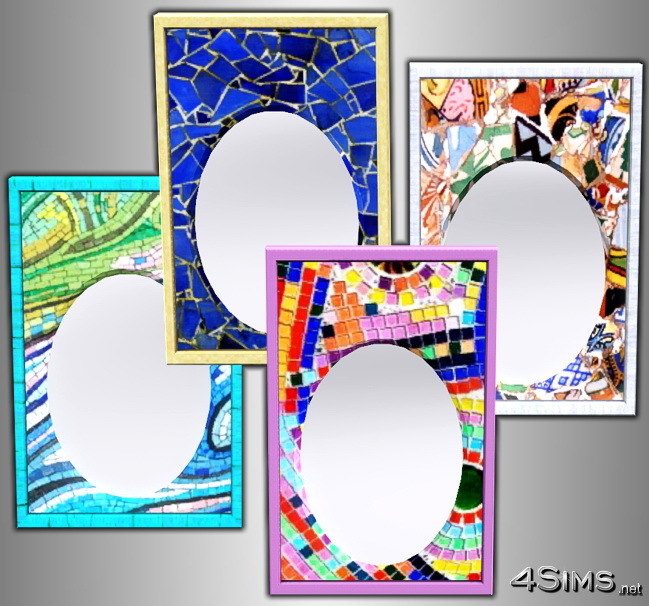 I simply love your site! Everything is such a high quality, functional and beuatiful.